My sweet, sweet daddy finished the race and won! Daddy stepped over the finish line at 12.40, Wednesday, October 18, two days after my birthday. He gave all he had in this life to gain the victors wreath (crown) of righteousness and eternity with Jesus! 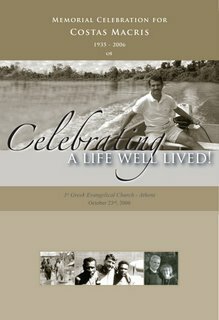 I long to write more about this incredible monumental day in our lives...but for now, it's pretty busy preparing for the memorial/funeral celebration to be held at the First Evangelical Church on Monday, October 23 at 1:15pm Athens time. Thanks for walking this road of sorrow and joy mixed together. PS I've included the invitation for the funeral/memorial service below. 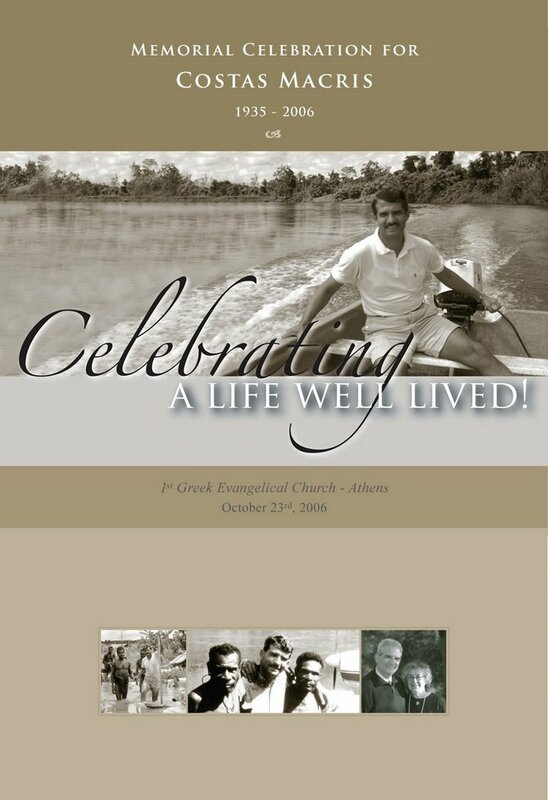 The Family has chosen to make a Memorial Fund for two of Dad's last desires: 1) The completion and publication of the 'Logos Zontanos' Bible in the modern Greek language; 2) A well at Porto Astro. The Tuesday before he went to the hospital we confirmed plans to move forward on the publication of the Bible, on Wednesday I urged him to cancel the appointment we had with the drilling company so that on Thursday he would have energy for the surgery..... Now we must finish the task he started.